The Base layer comes with 3 weight pockets. Designed to be used in all environments. Finally a weight system that allows you to place the weight pockets exactly where you need them. - Cold water diving when you need a lot of weight (tested with 20 kg +). - During Courses - To change weights easily on your students. - Divers with back problem - You can place the weights around your spine keeping the whole flexibility and movement of your back. - On Vacation - Easy to leave weights on the boat when you are on vacation and allows faster switching of weights. 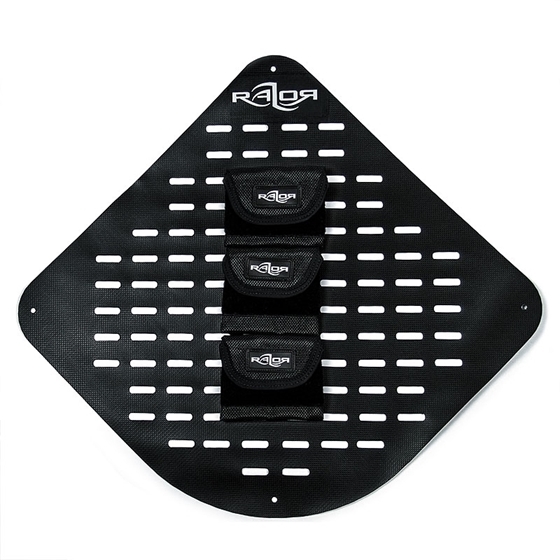 - Combine the Pocket Weight System with the T-Weight system to get even more weight on your harness, if needed. Designed to be used with the Razor weight pocket base layer. Finally a weight system that allows you to place the weight pockets exactly where you need them. 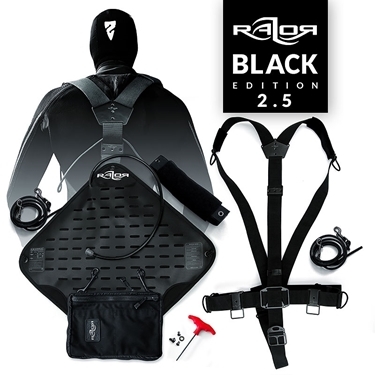 This BLACK EDITION of the Complete Razor System has the following components: • Razor Harness 2.5 • Redundant BAT Wing 2.5 with integrated weight base layer • Add. 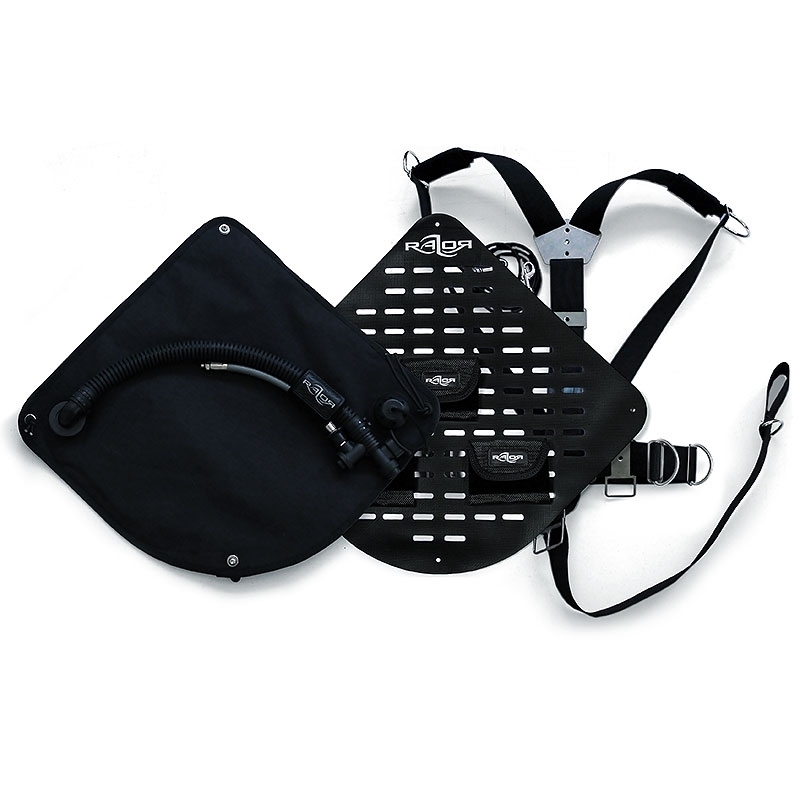 T Weight System • Universal Spares Part Kit • 6 inch Miflex LPI hose • Spare Side Mount Bungee • Expandable Side Mount Pouch • 2 Double Enders for the Pouch All metal parts of this system will be delivered in black colour! Designed to be used with the Razor weight system base layer. Finally a weight system that allows you to place the weight pockets exactly where you need them. Backup Mouthpiece to store in the Expandable pouch. 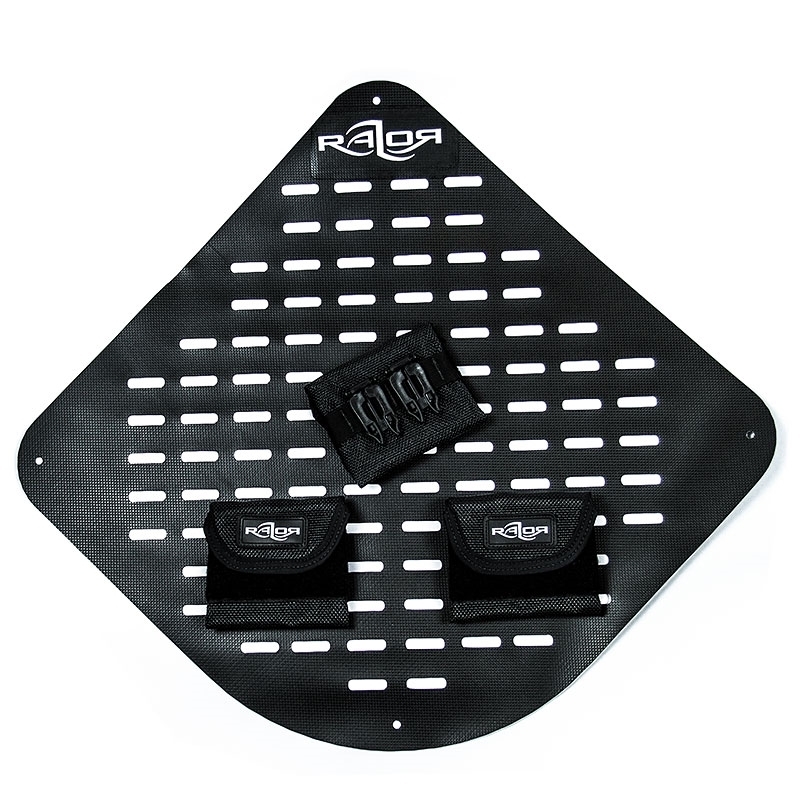 Divers enrolling in an official Razor Side Mount Course will be required to use the Razor Expandable Pouch and the spare bungee. Copyright © 2019 Go Side Mount Shop 2012 Go Side Mount. All rights reserved.